Trainer Kristen Buchanan is banking on the Kembla Grange track to give her two runners, Dual Escape and Pretentious Man, an edge on Saturday. 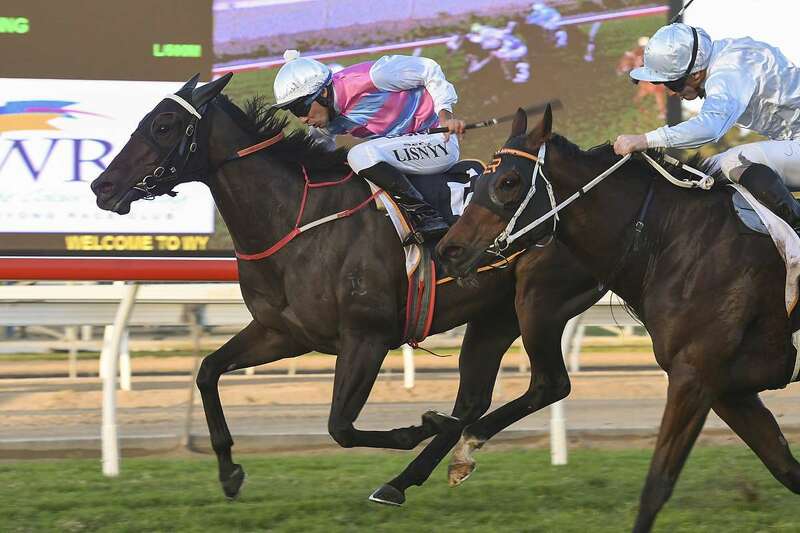 They’ll both love a big track and Dual Escape is coming off a nice win at Muswellbrook over 1280m ahead of tomorrow's very competitive Benchmark 70 Handicap (1300m). The Dubleo four-year-old has won twice at the trip and will enjoy her first time out at Kembla Grange with Serg Lisnyy to ride her out of barrier 14. “I think she’s a very nice mare on the way up but it’s a fairly strong race,” Buchanan said. There’s three other last start winners in the race including Legistation, Dawn Raid and Bangkok who shoots for four-straight wins for Allan Denham. Buchanan said while Dual Escape will have to be at her best to win, but her record (11-4:0:0) says when she fires she’s normally the first past the post. Pretentious Man is Buchanan’s other runner and he takes on a Class 1 Handicap (1200m) after breaking his maiden at start three at Muswellbrook. Buchanan has always held the Denman three-year-old in high regard, even before his first start. So which one is her best winning chance?